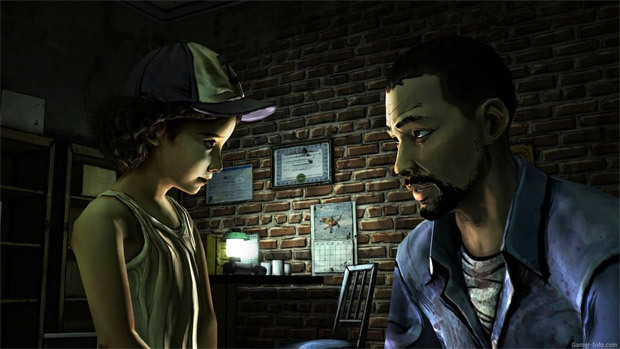 The Question: What was your top gaming moment of 2012? With the year almost over, I was interested in writing one of these posts as a prompt for you lovely folks to talk up some of your favorite moment(s) of 2012 with as much or as little detail as you prefer. So often we get can caught up in the negativity surrounding this shared interest of ours that we forget to stop, reflect on what's good, and actually talk about it. This question is open to interpretation. Whether it was a specific sequence, something (perhaps a more personal event) spanning a greater amount of time, or even a moment more generally tied to gaming as a whole is up to you. It doesn't necessarily have to be from 2012 so long as it was experienced during this year. I'm expecting to hear a lot about The Walking Dead, of course, but feel free to get obscure as well. Educate us in what we might have missed out on! This kind of discussion is naturally prone to spoilers, so if you are going to leave a comment that's explicit in its description, I would highly encourage you to include a spoiler warning as a courtesy. And if you're deathly afraid of having the surprise of a future moment ruined, well, maybe sit this one out for the time being.